Echo Trailers EE-9-13 is one of the most versatile ATV trailers available anywhere. 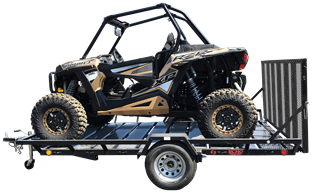 Whether you need to rear load or side load your Quads, Atv's, 4 wheelers or UTV"s Echo Trailers has you covered. Echo Trailers EE-9-13 also has a wide selection of accessories that are also available for providing customized looks and added functions to make your trailer a true multi-use trailer. Such our L.E.D. Light upgrade to our undermount boxes Echo provides an ever expanding accessory selection. Echo trailers are the best match for you to haul your ATV's, UTV's, Quads and four wheelers. 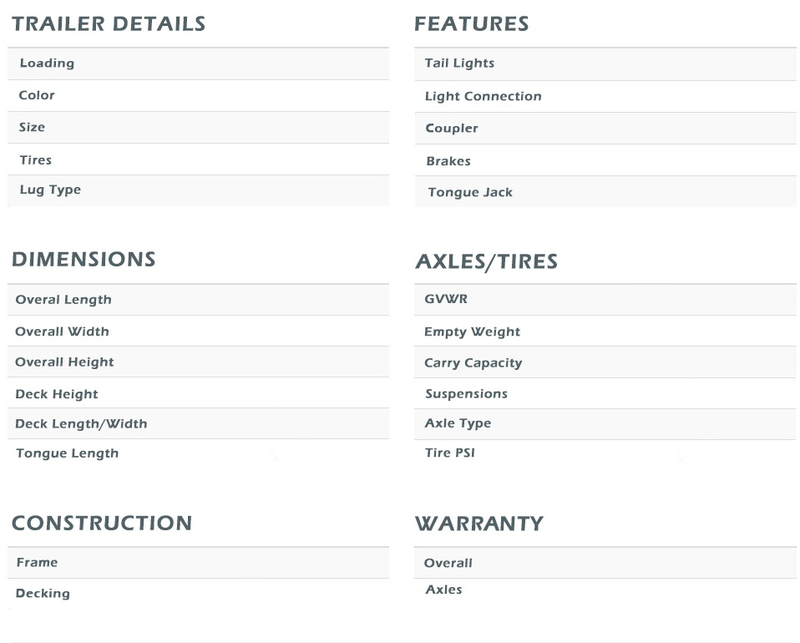 Checkout all the information on each one of the Echo Trailer models to get the best idea of which one will work for you. With all the models, standard features, and options available Echo trailer has the right trailer for you.